»Author's Journey»Writing Fiction About Truth: Are There Bones Inside God? Writing Fiction About Truth: Are There Bones Inside God? I’m stumped. Maybe I start talking about theology — the trinity and other deep stuff. Better yet, maybe I should respond with another story. Isn’t that how the greatest teachers reveal truth? Within every belief system, there are nooks and crannies where things remain in the dark. We don’t have to understand it all to believe, but wouldn’t we love to know the answers? These mysteries are the perfect domain for fiction. God gave us creative brains for a reason. Here’s an example: the Nephilim. The Bible mentions these creatures only twice, but in recent years there have been least seven books with “Nephilim” in their titles. Mike Duran counts these and related books in this interesting blog. It’s pretty intriguing (even for theologians) to write about what it means when “the sons of God came in to the daughters of man and they bore children to them. These were the mighty men, who were of old, the men of renown.” Yeah…steamy stuff. 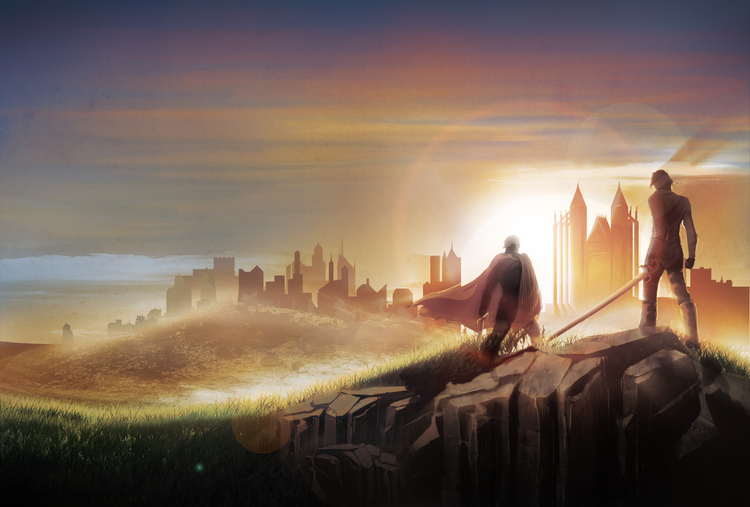 Cover art for Light in the Gloaming, which JB released last year. The angel “seized the dragon, that ancient serpent, who is the devil and Satan, and bound him for a thousand years…. After that he must be released for a little while.” Revelation 20:2-3. Thanks to the year 2000 (remember Y2K?) and the Left Behind series, many are familiar with the thousand years. Gut reactions abound for the word “millennium” — whether it’s excitement, terror, doubt, or outright ridicule. Let’s set that aside. What I’d really love to know is: why does this dragon or devil have to be released for a little while? With due respect, sir angel, you already locked him up. It seems like a better idea to leave the bad guy in chains. What’s he going to do when he’s released? And how long is a “little while”…are we talking days or years here? Hard questions. I say, instead of running from them, enter fiction, enter story. We write and read about things we don’t understand because we might just catch glimpses of answers. Now, I don’t promise any clean solutions in my new book. But I do promise a fascinating journey and a story that matters. It matters because it seeks truth, like all good fiction should. So, are bones inside God? Well, maybe. You could say something about being made in His image. Or, heck if I know, but it sure could make for an interesting novel. Let’s make our stories count. J.B. Simmons lives outside Washington, DC, with his wife, two kids, and an intriguing day job. He likes to drink coffee and run marathons, both of which help when chasing around his toddler. Not everything J.B. writes is about the end of the world. He also carries forward the torch lit by heroes like J.R.R. Tolkien and C.S. Lewis, and he finds inspiration in history’s great books and thinkers, from Plato to Locke and Machiavelli to Nietzsche. In his Gloaming books, the characters champion these competing philosophies and bring them to battle. They’re like A Game of Thrones with a C.S. Lewis twist. Still curious about what’ll happen when the serpent is released? 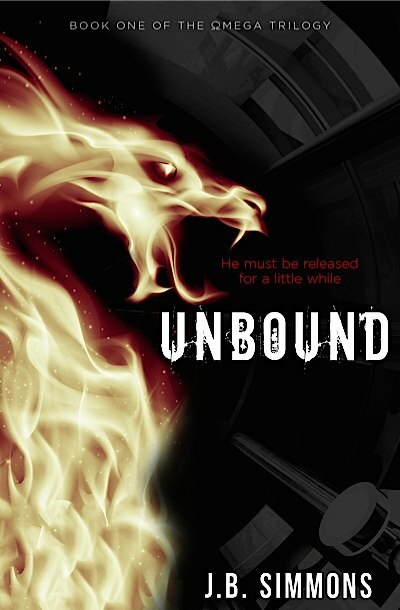 Check out Unbound here. Visit www.jbsimmons.com to connect with J.B. and learn more. He’d love to hear from you. Scripture reveals many answers to the very same questions I had for so long. But the Milenial time refers to the 1000 year reign after Christ returns to earth with His throne. Satan will be bound a thousand years so mankind after going through tribulations will be given opportunity to be taught God’s truth from his holy scripture. Man will not have satan’s influence during that time . After a thousand years Saran will be released again to see if mankind wiill follow what they were taught during that 1000 years or if they will fall under satan’s power again. There is so much to this that time won’t allow. But you are asking the questions snd that is a start.